Here is my new washer. 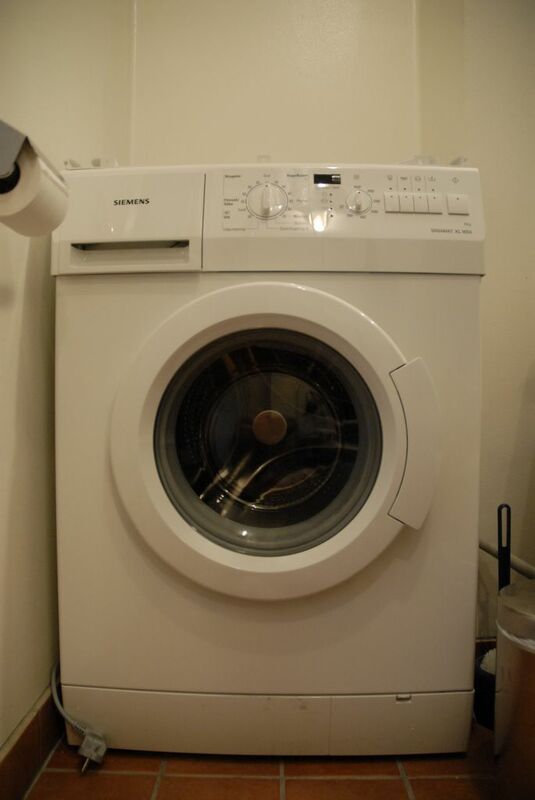 Like almost all washers sold in Europe, it's a front-loader. This one has a spin (centrifuge) cycle that is adjustable up to 1600 rpm. And here is my new dryer in action. 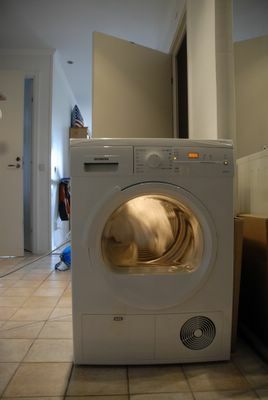 Unlike dryers in the U.S., this one has a built-in condensor to collect the moisture from the clothes in a removable reservoir in the upper left corner of the machine. When it's installed on top of the dryer in the bathroom, I will connect the condensor to the bathroom drain pipe under the sink so that I don't have to empty the reservoir.